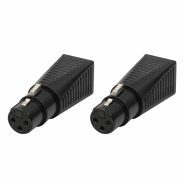 The NE8FDP-TOP is a ruggedised and lockable RJ45 connector, optimised for pro audio, video and lighting network applications. 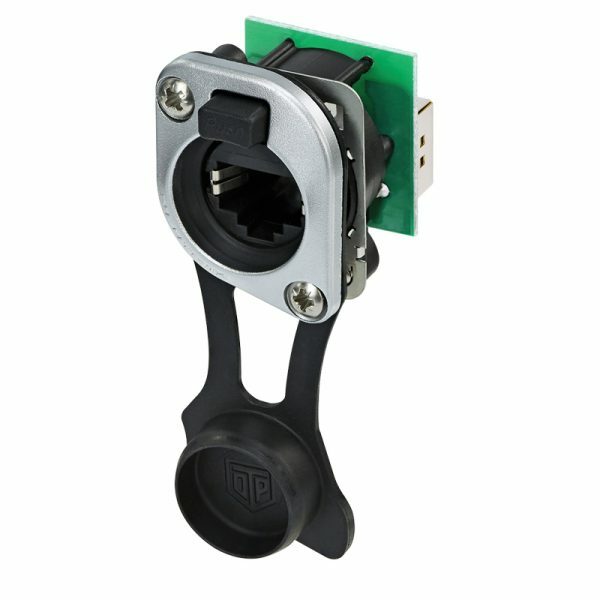 The chassis connectors designed to fit into standard D-size panel cut outs. 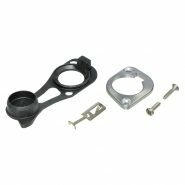 The RJ45 feedthrough receptacle, combined with sealing kit SE8FD-TOP, D-shape metal flange with the latch lock, mounting screws included.